Rete Consulting helps businesses meet their technology-related challenges by providing them tailor-made IT solutions that have the capability to satisfy even the most sophisticated technology environments. We help you stay ahead of the technology curve! Leveraging on our access to the latest in technology, we provide businesses with the most innovative and highly functional IT solutions that become their value proposition in the long run. At Rete Consulting, we provide managed IT services to take care of the day to day management of your technological assets so that you're left free to focus on achieving your strategic objectives. With our technology planning service, we help you identify the technologies that are likely to deliver you the maximum return and streamline the introduction and management of such technologies to accelerate your business growth. Offering you access to an unrivalled choice of email and web hosting plans, Rete Consulting makes it possible for you to experience the potential of enterprise-grade email and web hosting solutions without having you to make a hefty investment. Built to offer foolproof security and exceptional performance, the voice and data networking solutions offered by Rete Consulting makes multi-site communication a hassle-free, seamless process. At Rete Consulting, we have a team of dedicated IT professionals who are ready to go an extra mile to help businesses conquer their IT related challenges. When you choose us as your preferred managed IT services provider in Round Rock, we not only offer you a well-round solution for all your technology needs, but also promise you excellent customer support. Rete Consulting provides end-to-end IT solutions to businesses that want to free up their time and resources in order to focus on their strategic objectives. 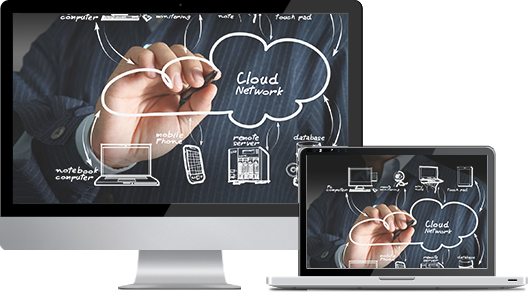 From network monitoring to web hosting and day to day IT management, we offer a variety of IT solutions that have been designed to meet the needs of your business at a predictable, pre-set cost so that you do not have to worry about your monthly IT budget. Free your in-house IT team to work on your core initiatives while Rete Consulting deploy, monitor and maintain your IT infrastructure. To learn more, please call us at (512) 596-5001.